Map of the Week is written by David A., a systems librarian and map geek living in Mt. Pleasant. David previously wrote about Washington, the beautiful capital of the nation – 1922. 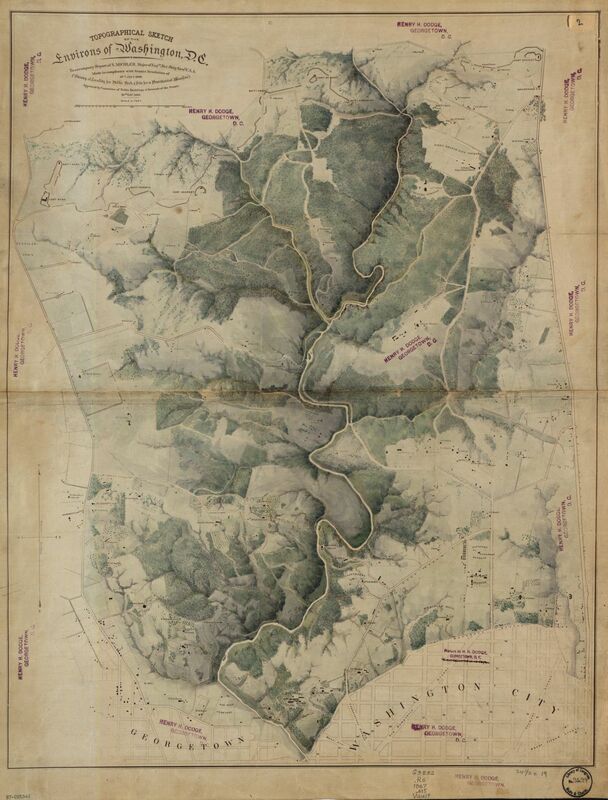 This shaded relief map of present-day Rock Creek Park and surrounding lands comes from an 1867 survey ordered by the U.S. Senate in 1866. Michler’s map does a great job illustrating the rolling altitude of the northern part of the District. Aside from topographical features, the map includes some cadastral information (land holdings) and some road names. 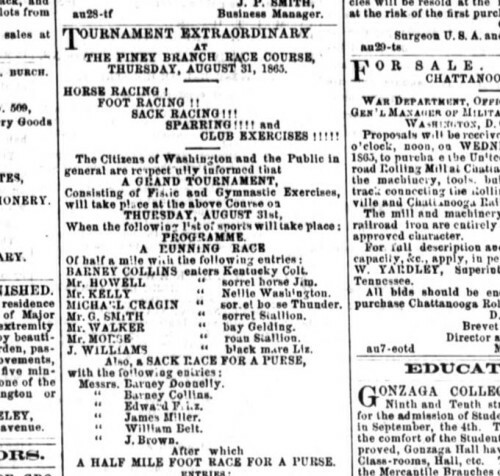 On June 25, 1866, the United States Senate directed its Committee on Public Buildings and Grounds “to inquire whether a tract of land of not less than three hundred and fifty acres, adjoining, or very near this city, can be obtained for a park and site for a presidential mansion, which shall combine convenience of access, healthfulness, good water, and capability of adornment.” Sensing that it may have overly limited its options, the Senate passed another resolution five days later lowering the minimum size to 100 acres. Then realizing the need for professional landscape gardener or topographical engineer to examine the different tracts of land offered to the committee” and to report on their suitability for the desired purpose.